Home » Our Doctors » Tony Tran, O.D. Dr. Tony Tran is a Houston native raised in the Northwest Houston area. 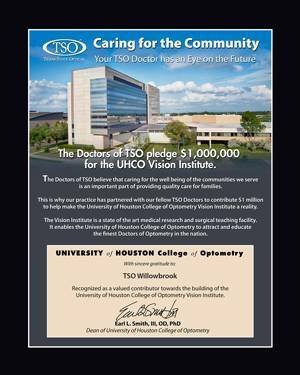 He was educated at the University Of Houston College Of Optometry and is a licensed Therapeutic Optometrist and Glaucoma Specialist. 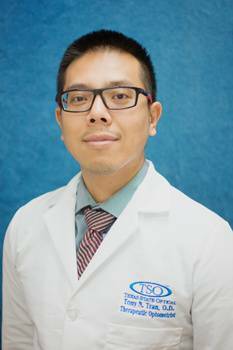 Dr. Tran practices full scope Optometry which includes: Comprehensive Eye Examinations Contact Lens Fittings, Treatment and Management of Ocular Diseases, Dry Eye Treatment, Cataract Co-management and Lasik Evaluations. Dr. Tran has been in the Optometry Field for over 10 years. As a child, Dr. Tran had decreased vision, which led him to the Optometrist. The Optometrist knew exactly what it was that Dr. Tran needed. He provided him with excellent vision care, leaving him with great results. This made Dr. Tran comfortable and happy. His Optometrist was a great influence, leaving Dr. Tran interested in pursuing the Eye Care Field. His professional interests include Glaucoma Treatment and Management, Specialty Contact Lenses and advancements in contact lens technology. In his free time, Dr. Tran enjoys spending time with his wife, visiting various cultural events throughout Houston, he enjoys all of the Houston sports teams, participating in sports activities, working on cars, exploring restaurants and hanging out with friends. He is a huge fan of The Rockets and Texans! Dr. Tran is not only fluent in English but fluent in Vietnamese as well.